Brix Chicks: Jack Daniels now with honey! Jack Daniels now with honey! Jack Daniels was the first hard liquor I remember really enjoying. For its delicious warm burn as well as the grown up cachet of ordering brown liquor. Yum! 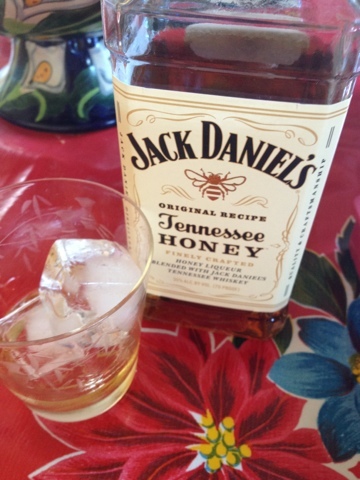 Now I just discovered something new: Jack Daniel's Tennessee Honey. A lovely amalgamation of Jack Daniels Whiskey and honey liqueur. The result is tasty ---at first sweetly honeyed and then followed by that warming glow. They recommend to serve it chilled. But I am dying to stir it into warmed apple cider with a cinnamon stick and a float of hand whipped cream $20.99 at BevMo you can't go wrong for a cold snap companion. I was just told last night how delicious this was -- by a guy, no less. And now another plug by a palate I trust -- I'll check it out and report back. I'm still imagining how this tastes like when you combine it with coke. I guess more twist with a kick of honey! 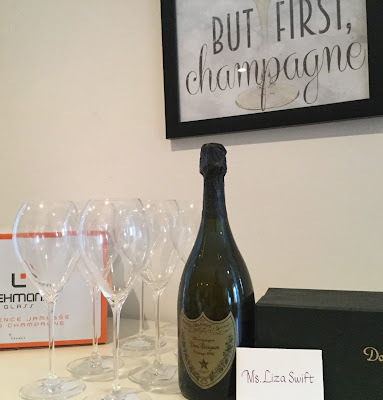 Thanks for the news! I hope this is now available in our area. Or else, I'll just order it online!